Broadcasters are under pressure to make "niche, marginal and worthy" primetime shows when they should be urged to be entertaining, a senior TV figure says. 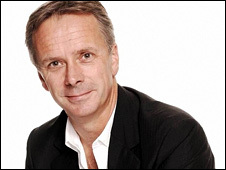 Peter Fincham, ITV's director of TV, claimed regulator Ofcom was dismissive of pure "entertainment" programmes. And Ofcom alienated the public by using "a language all of its own" in reports on the future of TV, he added. Mr Fincham who left the BBC over a scandal involving a clip of The Queen, spoke at the Edinburgh TV Festival. He left his job as controller of BBC One last October after introducing a trailer for a Royal documentary during a press launch and saying the monarch had stormed out of a photo shoot. 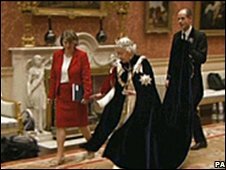 In fact, she had been walking into the room at the time, and the two scenes had been broadcast in a misleading way by being edited out of sequence. The resulting scandal was "not much fun", Mr Fincham said in the annual MacTaggart Lecture, given by leading industry figures on the first day of the festival. Night after night audiences turn on the television because they think it will entertain them, if they don't they can do other things." And the overall crisis of trust in the media of the past 18 months - involving incidents such as contests which were won by "fake" competitors - had been "a grim and unsavoury episode in television's history", he added. Mr Fincham said it was after he had left the BBC that he had found time to read Ofcom's 137-page report on the future of public service broadcasting. This contained so much jargon that the average viewer would "wonder what on earth we were on about" if they read it, he said. Only once was the word "entertainment" used, with far greater emphasis on TV being a medium which should educate, inform and strengthen cultural identity, he said. "Is that what's on the telly tonight?," he asked. "God help us - let's go to the pub instead." "Don't get me wrong - television needs regulators, just as roads need traffic wardens," Mr Fincham said. "But you wouldn't ask your traffic warden to give you advice on what sort of car to buy, still less how to drive it." He said Ofcom's four defined purposes for the future of TV were "a recipe for the niche, the marginal, the worthy". "Try hanging them outside a West End theatre. See who buys a ticket," he added. Entertaining the audience is "part of our DNA" at ITV, said Mr Fincham, who took up his role in May. Speaking on BBC Radio 4's Front Row he said: "We're in show business... night after night audiences turn on the television because they think it will entertain them, if they don't they can do other things." And in an age where there are now hundreds of TV channels, it was important to maintain populist schedules seen by millions of people a night, he said. "Unless we fight hard to assert the importance of mass audiences, we may find that broadcasting as we know it simply goes niche and splits into a thousand pieces. "No point in lingering by the water cooler any more - the chances of anybody having watched the same programme as you last night are remote. "More work gets done in the office, perhaps," said Mr Fincham, "but culturally it's a loss, not a gain." But Mr Fincham told Radio 4 that despite competition from other media, he still believed TV had a fantastic future as long as it had confidence in itself.